The Fiehn laboratory at UC Davis develops metabolomics technologies in cheminformatics and analytical chemistry and applies these methods in biomedical projects and basic science. The Fiehn laboratory leads the NIH West Coast Metabolomics Center and engages in collaborative NIH research projects, specifically aiming at genomics integration, interpretation of data sets, advanced statistics and collaboration in cardiovascular health, metabolic syndrome, ageing and cancer metabolism projects. permanent position - senior leadership - supervising 13 staff, 17 mass specs - competitive salary. Apply here by March 15, 2019! We make extensive use of accurate mass spectrometry in both LC-MS and GC-MS technologies, currently using 16 different mass spectrometers. 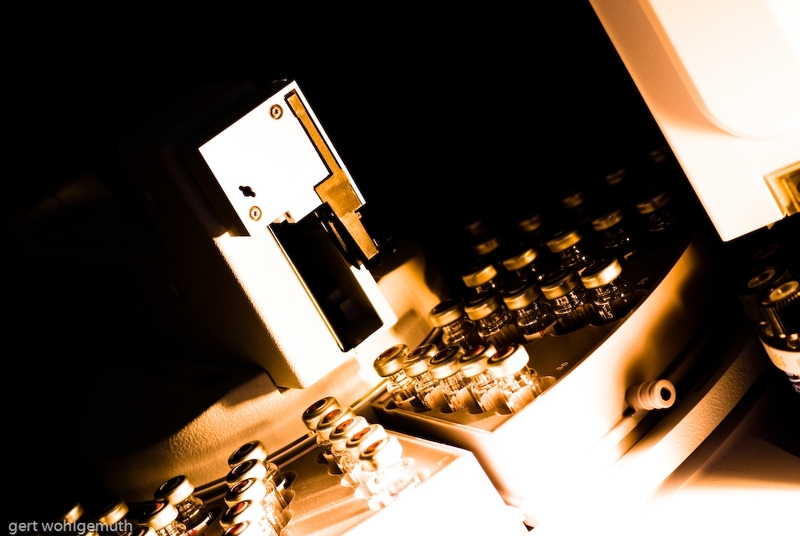 We develop tools and databases for the scientific community such as MassBank of North America (including LipidBlast MS/MS spectral libraries), the Chemical Translation Service for database integrations, MetaBox for genomic data integration, MetaMapp for data visualizations, and MS2Analyzer and MS-DIAL software for LC-MS/MS data processing and compound identification. We use additional in-house software such as BinBase for primary metabolism profiling and miniX as freeware LIMS system to help the West Coast Metabolomics Center's service providing data for over 25,000 samples per year. In the U.S., especially at UC Davis, Professors do not directly enroll graduate students themselves. Rather, prospective students apply to one of the University's graduate group programs. If admitted, they participate in laboratory rotations to find mutual interests with Professors, and then conduct their thesis program along with courses taught in the graduate degree requirements. Whether Professor Fiehn enrolls new graduate students in his laboratory depends on funding and on the outcome of the laboratory rotations.